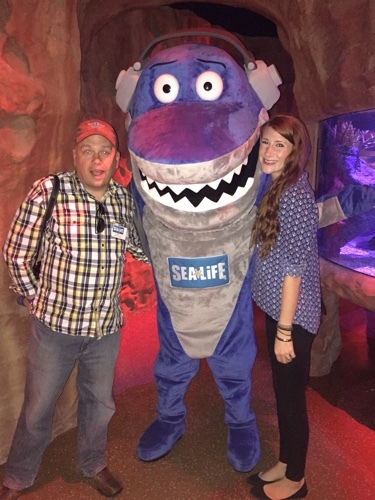 As part of I-Drive 360, Sea Life Aquarium will open its doors on May 4, 2015 and Theme Park University got a preview of the new attraction! Located at the base of the Orlando Eye observation wheel is an attractions concourse that gives visitors the chance to experience the Sea Life Aquarium, the Orlando Eye or Madame Tussaud’s Wax Museum. Much like other pricing structures in Orlando, the more you visit, the cheaper they become per attraction and you could easily spend a day visiting all three. 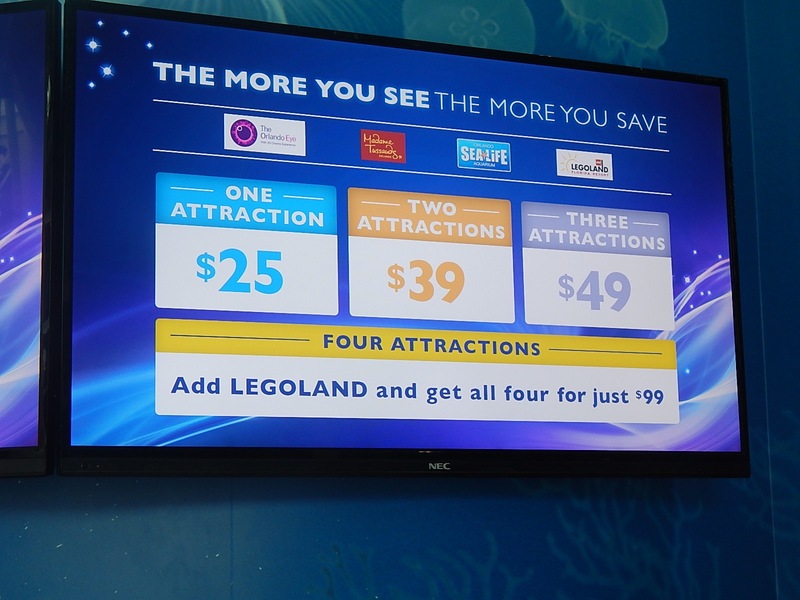 Since they are part of the Merlin Entertainment group, the option to add on a day of Legoland Florida is a pretty good deal for $99. 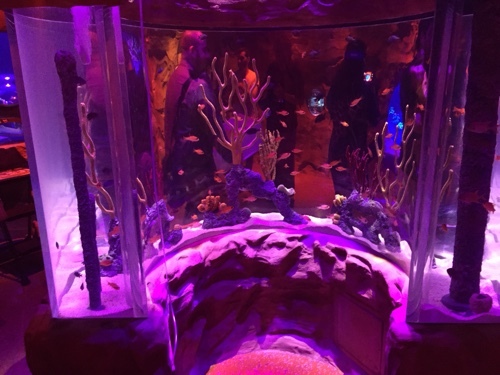 Your tour begins with a multimedia presentation featuring a tank surrounded by real fish swimming in formation. 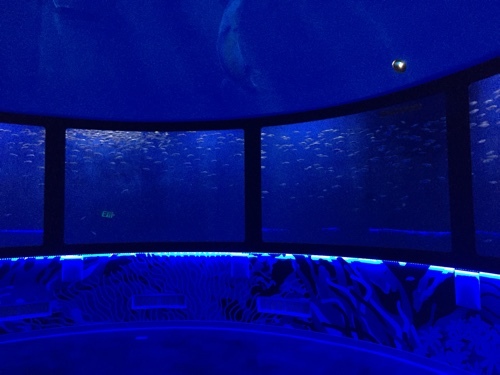 Above is a domed screen with a projector that introduces you to the Sea Life animated characters you see throughout the exhibit. Including this guy, Magnus the shark! He roams around the aquarium taking pics with dorks like us! The rest of the characters appear throughout the attraction as CGI animation to help explain the exhibits. Cleverly hidden behind many of the tanks are video screens where animated seahorses, sharks and turtles tell you about what you are looking at. It may sound cheesy, but it actually works to hold your attention. 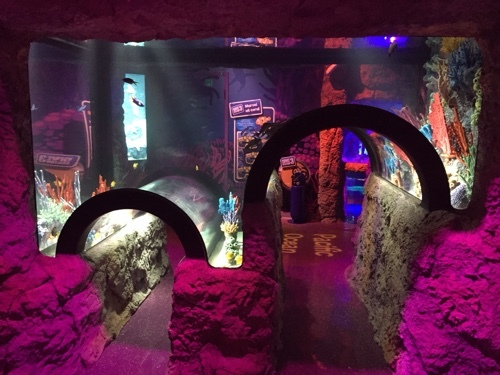 Every part of Sea Life Aquarium has interactive elements. 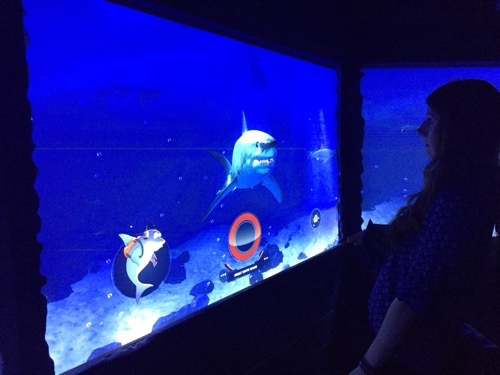 Here, guests can learn about sharks from how many teeth they have to their life span and even anatomy via interactive over-sized touch-screens. 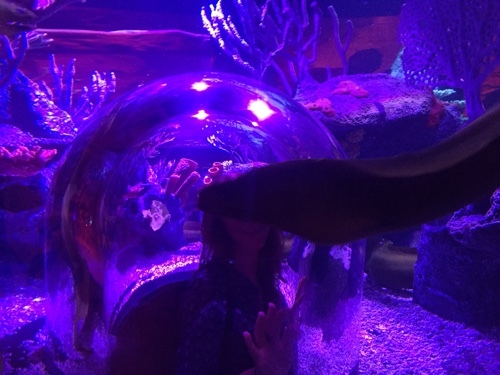 There are many places where guests can pop their head into the actual aquarium without getting wet thanks to these bubbles. I’ve seen these in similar attractions, but Sea Life Aquarium had them everywhere. 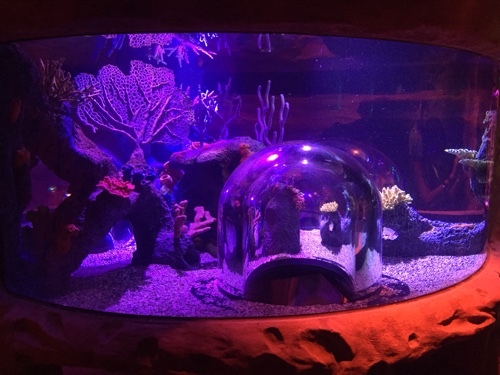 This tank alone had four different spots to “pop in” to get an up-close view of some eels. 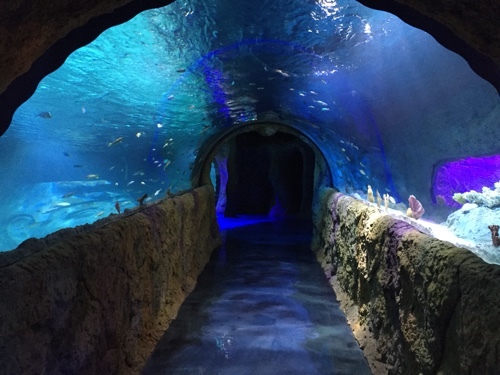 Immersive is a term thrown around a lot in the attractions industry these days, but Sea Life really does that whenever possible. 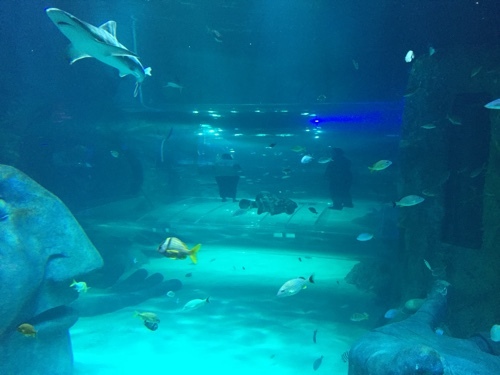 Like this tank that lets you step inside and literally “stand” inside and experience what it’s like to be in their environment without getting wet. There are literally dozens of opportunities to get up-close and personal “inside” various tanks through some extremely well placed and thought out tunnels and viewing locations. 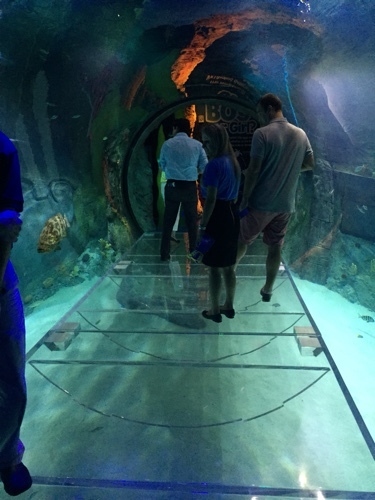 There is even a tube that visitors walk through that literally surrounds guests 360 degrees. This will be THE place for people to hang out during their visit. It’s bizarre, a bit unnerving and somewhat peaceful all at the same time. I’ve never done anything like it in my life. 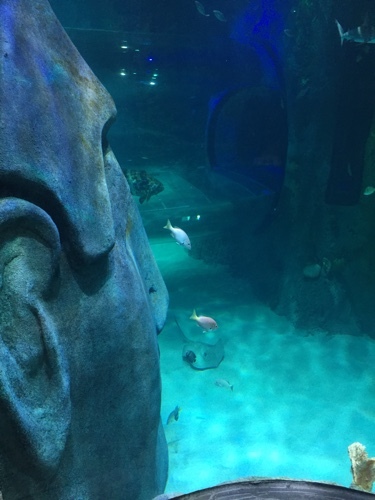 The major aquariums are divided up by sea life you would find in three major oceans: The Atlantic, Pacific and Indian. 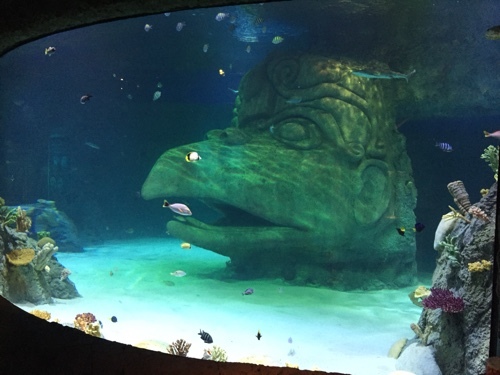 The sets and scenery within each aquarium are extremely impressive. 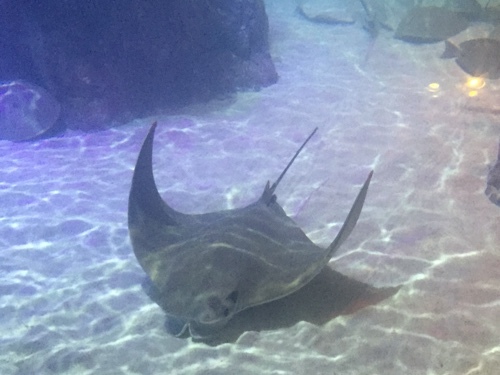 There is also a pool devoted specifically to stingrays. 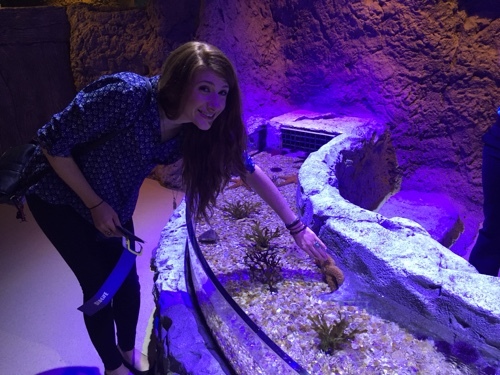 In addition, there is a touch pool where guests can touch starfish and sea anemones. 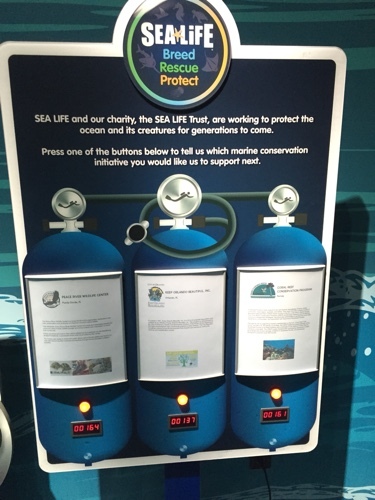 Towards the end of the exhibit was this display allowing guests to vote on which local charity Sea Life Aquarium should support next. 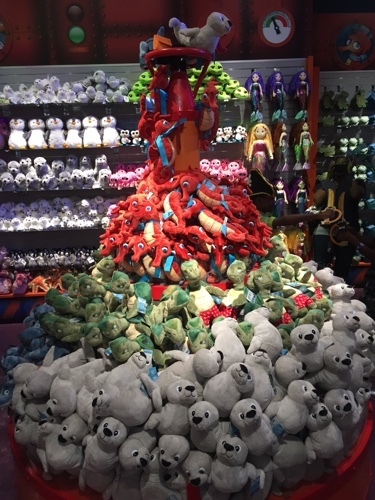 Needless to say, the attraction ends in the obligatory gift shop. 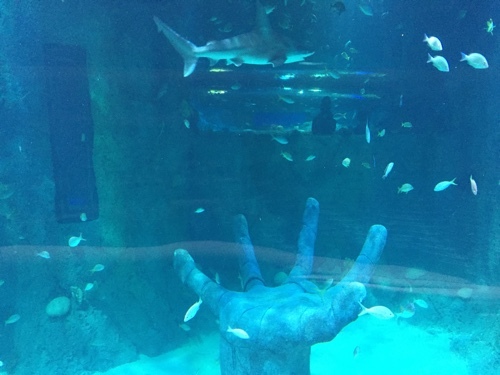 For more information visit https://www.visitsealife.com/orlando! Make sure to follow Theme Park University on Twitter and like our Facebook page! Doing any online shopping? Click any of the Amazon links on this page to help TPU pay the bills and it costs you nothing extra! 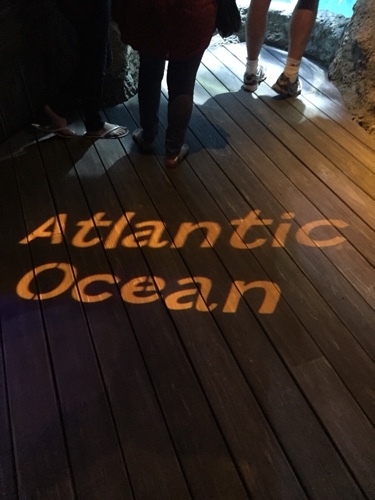 This entry was posted in Attractions, Outside The Parks and tagged I-Drive 360, Immersive Aquarium, Magnus the Shark, Merlin Entertainment, Orlando Eye, Sea Life Aquarium. Bookmark the permalink. Trackbacks are closed, but you can post a comment. 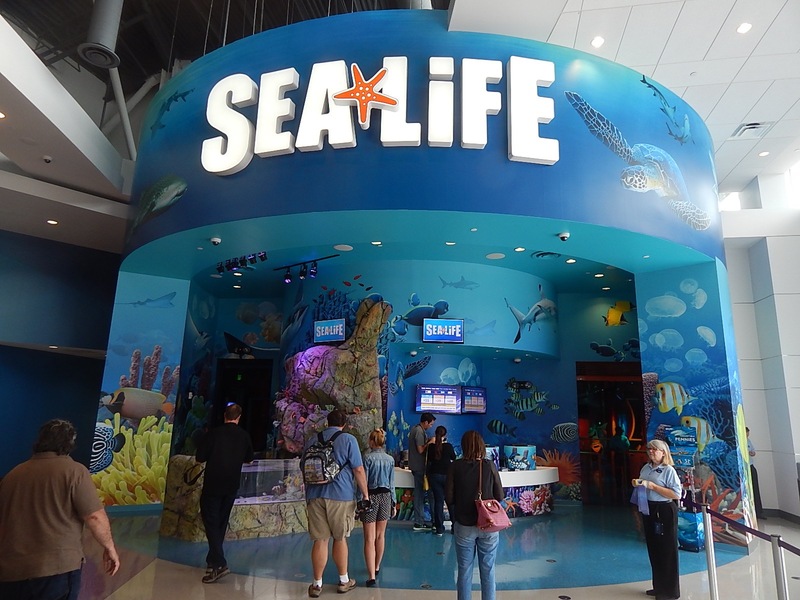 You know, I was very skeptical about the addition of a Sea Life to Orlando, mostly because they’re fairly generic. We have them all over the UK, and it’s very much a case of once you’ve been to one you’ve been to them all. However, this one looks pretty good, especially that glass tunnel. 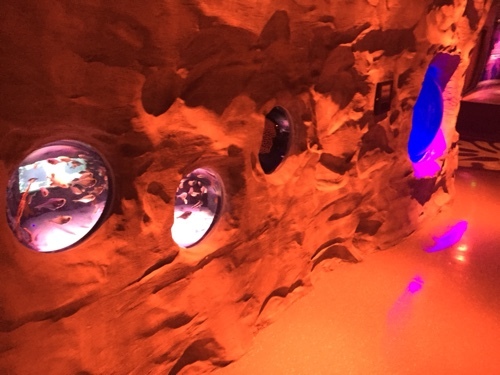 Merlin are opening a Shrek themed walkthough attraction in London this summer (in the same building as a Sealife and Dungeons, close to an Eye). They say ( http://www.theguardian.com/film/2014/feb/25/shrek-theme-park-open-in-london ) that a further five sites will open before 2023.